Active with Time Clause - Rustic, modern, classy and chic! 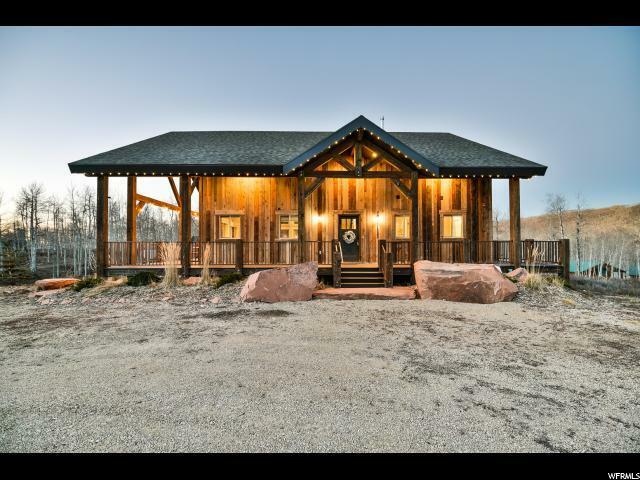 This gorgeous custom-built mountain home was tastefully designed with attention paid to every detail. 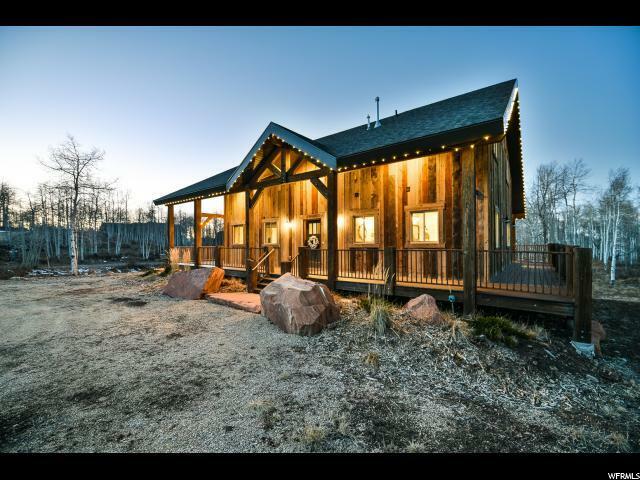 With it's reclaimed/weathered barnwood exterior, this one-of-a-kind cabin sits on a wooded 3/4 acre lot with it's very own natural, seasonal pond! Exquisite finishings include; custom cabinetry, gorgeous hardwood flooring, granite countertops, beautiful tile work throughout entire home. Open, spacious floor plan, huge great room, immaculate kitchen, tall vaulted ceilings, spectacular windows, stunning natural light, elegant main-level master suite, game room, loft area and more. Perfect for entertaining! Turn-key! Comfortably sleeps up to 12 with separate living quarters and downstairs kitchenette. 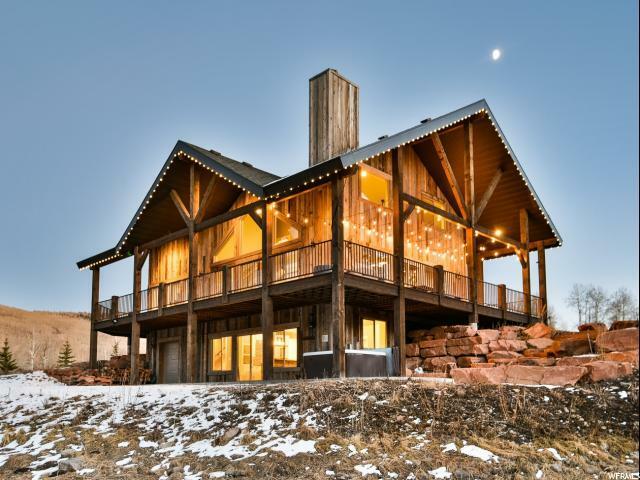 Enjoy spectacular views from wrap-around deck, beautiful wild flowers and abundant wildlife. Ride your snowmobiles out of the toy garage into the Uinta National Forest right from your front door! Year round access, flat driveway. 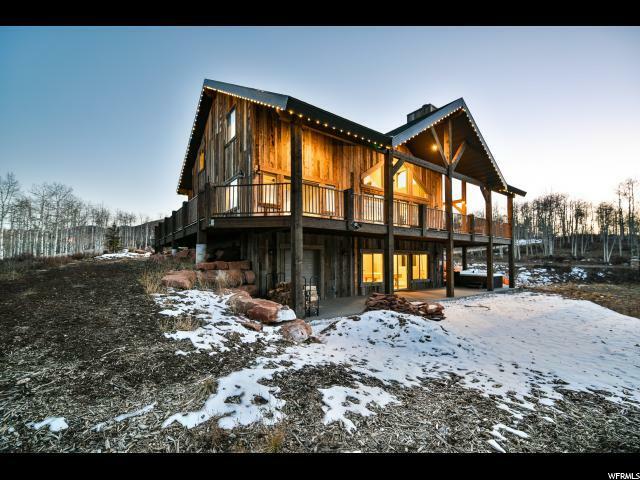 Enjoy all the amenities of Park City & Heber Valley just minutes away!